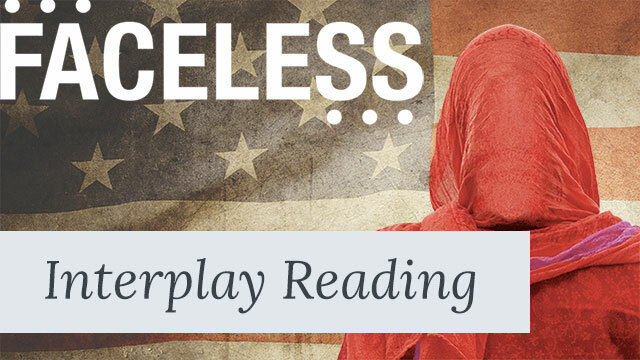 In the new play Faceless by Selina Fillinger, a female Muslim lawyer is selected to prosecute a white American teenager on trial for conspiring to commit acts of terrorism. Inspired by this unique scenario, the Muslim Community Center’s Interfaith & Outreach Committee and Northlight Theatre have partnered to present a panel discussion addressing how Muslims are portrayed in contemporary plays and Hollywood films, the importance of stories about Muslims, and how portrayals affect the Muslim-American community’s sense of self. Panelists include Selina Fillinger (Faceless playwright), Rohina Malik (playwright and performance artist), and Omer M. Mozaffar (Loyola University Chicago professor and Muslim Chaplain, and Hollywood film consultant), with moderator Terri Birch Arain, founder of Muslim Arts Collaborative. This event is free and open to the public. Refreshments will be provided. Reservations are requested: MCCInterfaithTeam@gmail.com. Note: The start time for this event has changed. The new start time is 6:00pm. Selina is a Chicago-based actress and playwright. She is a recent graduate of Northwestern University, where she studied playwriting under the instruction of Laura Schellhardt. Her original work includes The Armor Plays, Three Landings and a Fire Escape, and The Coho Salmon Pub & Grub. Selina was a two-time winning playwright in the university’s Agnes Nixon Festival. Three Landings and a Fire Escape was awarded the 2015 Judith Barlow Prize and received a reading in New York under the direction of Kathleen Chalfant. Selina is one of three Chicago playwrights currently writing for Sideshow Theatre’s Freshness Initiative: her play, Something Clean, will receive a staged reading this June. Rohina Malik is a critically acclaimed Chicago playwright and solo performance artist. She was born and raised in London, England, and moved to Chicago when she was 15 years old. Her one-woman play Unveiled was developed and had its world premiere at the 16th Street Theater, where it received critical acclaim. Rohina’s play The Mecca Tales was produced by Chicago Dramatists in 2015 and nominated for a Joseph Jefferson Award for Best New Play. Her new play, Yasmina’s Necklace, had its world premiere at the 16th Street Theater in January 2016, directed by Ann Filmer, and was nominated for a Joseph Jefferson Award for Best New Play. She is a Resident Playwright at Chicago Dramatists, an Artistic Associate at the 16th Street Theater, and an Artistic Associate at Voyage Theater Company in NYC. Recently, Rohina became an Artistic affiliate at the American Blues theater in Chicago. Her plays have been produced at the 16th Street Theater, Victory Gardens Theater, Crossroads Theater, Next Theater, Brava Theater, Voyage Theater Company, Silk Road Rising, Theater Project Baltimore and Mustard Seed Theater. Unveiled was presented in two South African Theater festivals: The Grahamstown Arts Festival and the 969 Festival in Johannesburg. Rohina is a proud member of the Dramatists Guild of America. Omer is the Muslim Chaplain at Loyola University Chicago. He addresses theological, personal, social matters for students of all sectarian outlooks. During the school year, he also runs classes on Scripture, Student Life, and other matters. He has received Islamic studies training both through traditional and academic sources. He has been an Adjunct Professor in the Departments of Theology and Modern Languages and Literatures. 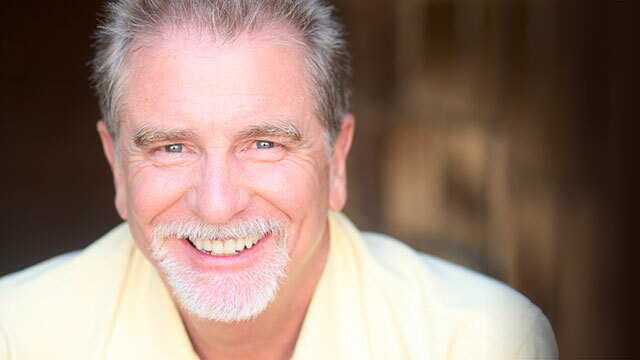 He has taught at the University of Chicago and DePaul University, among other schools. He has taught courses on the Qur’an, the Sira, the Hadith, Islamic Law, Spirituality/Purification, Islamic revivalism, Islam and Politics, Sectarianism, al-Ghazali, Rumi, Iqbal, Arabic, Film, and Comparative religions. In 2011, he was granted an “Excellence in Teaching Award in Humanities, Arts, and Sciences” through the University of Chicago’s Graham School. For over two decades he has been giving sermons and leading classes at Islamic centers all across Chicagoland. Attend a reading of this new play while still in development: Susie Glenn, a white suburban teen, was arrested for conspiring with ISIS. Recent Harvard Law grad and practicing Muslim, Claire Fathi, has been brought on to prosecute. 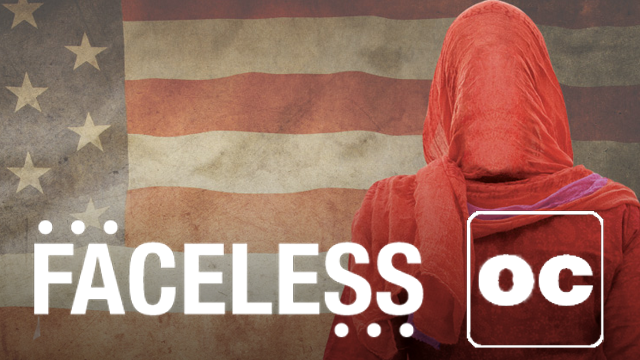 Faceless follows two women fighting for justice in a world gripped by fear. A mid-day discussion with Artistic Director BJ Jones about Faceless, featuring guest artists offering behind-the-scenes insight into the production while it is still in rehearsal. Eighteen-year-old Susie Glenn is on trial for conspiring to commit acts of terrorism, and a Muslim lawyer is the face of the prosecution. Though pitted against one another in the courtroom, these two young women are fighting a similar battle to defend their morals, motives and religious freedoms in this riveting and timely new drama. 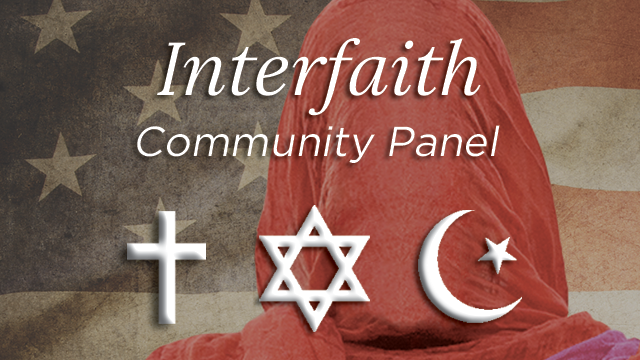 Join us and several religious leaders from the community for a post-show conversation with perspectives from Christianity, Judaism and Islam. 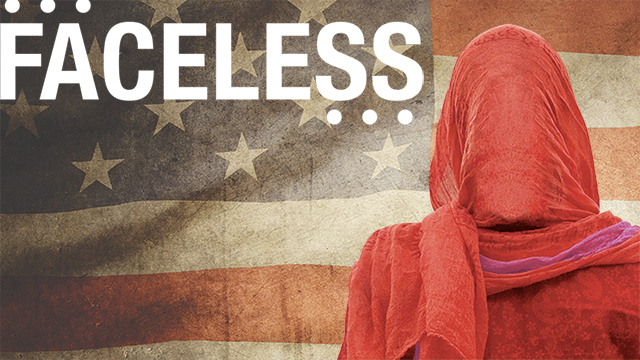 Explore the cultural and political context of Faceless, as well as the creative process behind a world premiere, through a discussion and Q&A session with artists related to the production. 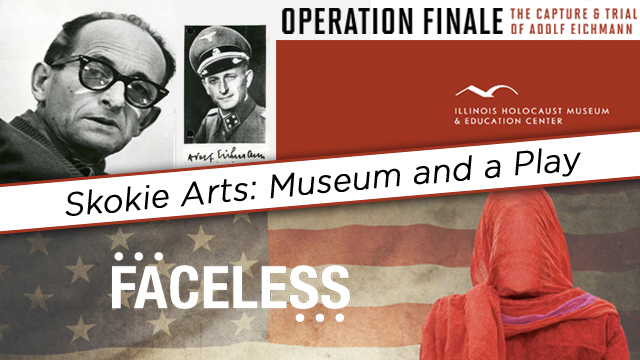 The Illinois Holocaust Museum & Education Center and Northlight Theatre are teaming up to bring you a unique Skokie Arts experience. 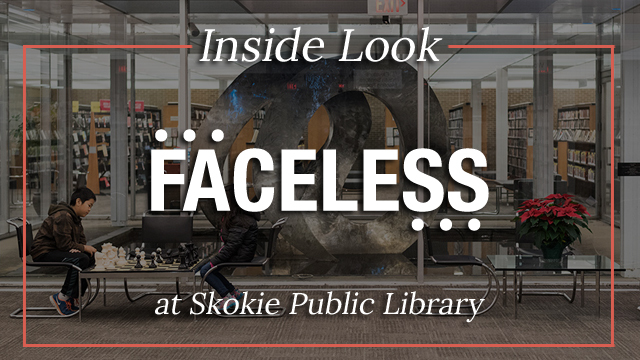 See Faceless with open captioning, a service provided for people with hearing disabilities. Read along with a text display of words and sounds during the performance.